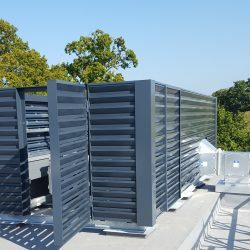 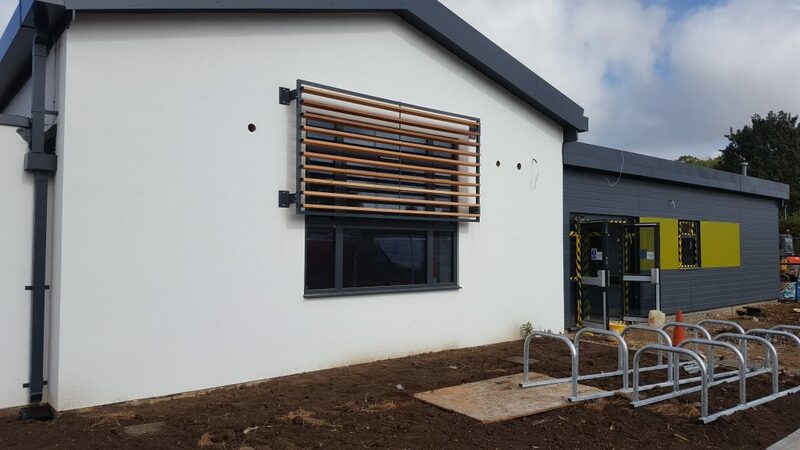 NLC engineers installed four triangular brise soleil panels to the gable end of a new school in Battlefields, Shrewsbury. 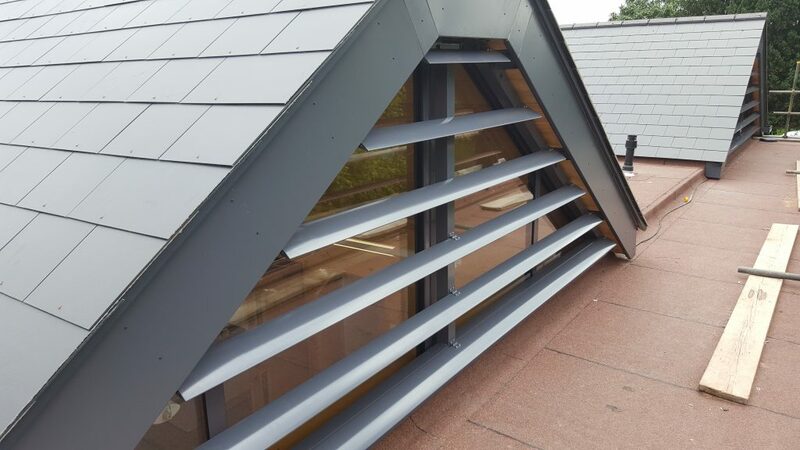 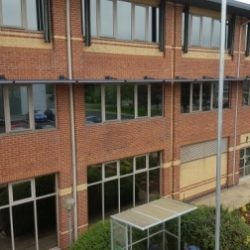 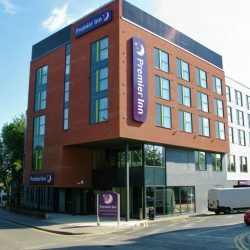 They are manufactured from 40mm x 40mm fully welded aluminium box section frames with angle brackets fixed to the front to allow for the blades to be installed. 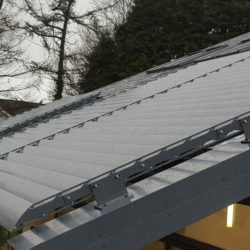 The blades are 120mm wide, elliptical shaped with 2mm thick profiled aluminium end plates . 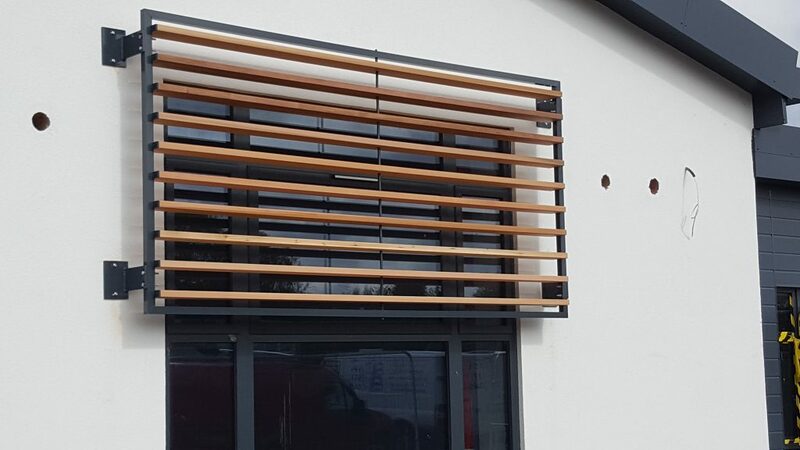 NLC supplied, delivered & installed vertical Western Red Cedar brise soleil panels to Hartford SEN in St. Neots. 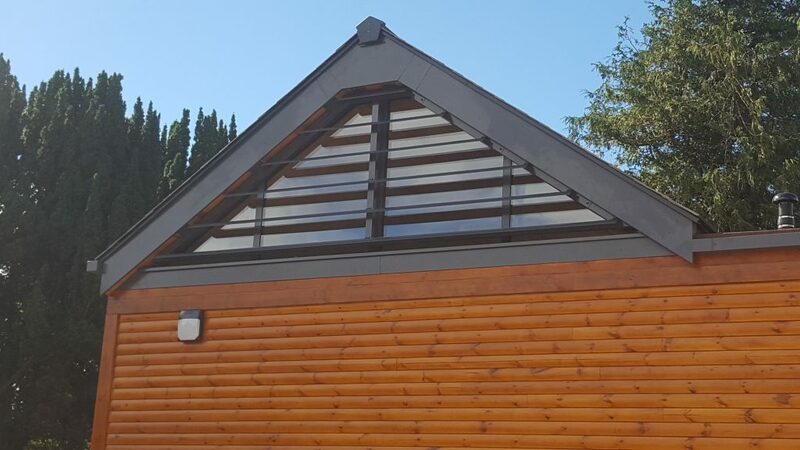 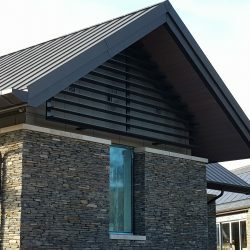 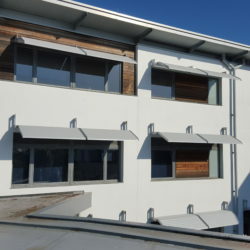 The panels consisted of rectangular timber blades in powder coated box section aluminium frames supported vertically in front of large dormer windows.